The Community Supported Agriculture (CSA) movement is being increasingly recognized as offering an alternative to the unsustainable industrial food system and thus as a concrete approach in the transition towards agroecology and food sovereignty. Community Supported Agriculture is what CSA stands for and you may have only heard of it if you're a Slow Food fan or a recent immigrant from Europe or the USA...where it's a popular way for farmers & producers to connect with the public. Consumers who join a CSA commit to buying a certain amount of fresh produce for the year (in advance), so that the producer has some certainty that their efforts in producing organic & sustainable food do not go to waste, and so they have a future in food production. In return the consumer gets fantastic fresh produce for a fair price delivered on a regular basis. You can read more about it below, but for now you probably want to know what it means and what's in it for you, right? In a nutshell, we've adopted this model so that you - as a member of our CSA - get regular deliveries of our delicious organically grown wine for a great price in return for your commitment for a 12-month period. We're calling it the Tractor Seat CSA Club - it's a bit like a wine club...only better! It's free to join plus there's lots of added benefits too, including substantial discounts, free Wine Flights and member parties. We will also keep you informed throughout the growing season on conditions and what is going on in the vineyard. Click here to delve into the Oranje Tractor offer or see below for some history about CSA and how it works. Community supported agriculture (CSA) farms originated in Germany, Switzerland, and Japan in the 1960’s for consumers seeking safe food and for farmers looking for a stable market. The concept was implemented the U.S. in the 1980s in response to the direction that agriculture was going, and is still going, toward large scale corporate farming. Farmers wished to cut out the middle person and connect with buyers. Consumers wished to make a more personal connection with the origins of food, and wanted a healthier, practical, and environmentally sustainable way to acquire food. As a member of a CSA farm, you often have the opportunity to visit, volunteer at, and learn about the farm. More recently, small organic wine producers in the USA have adopted the CSA model and have become Community Supported Vineyards or Wineries. What's good for the goose, is good for the gander, even if we are a few thousand miles away! In its simplest form a CSA farm offers "shares" to be bought by members, which is an up-front annual fee that helps the farmer cover a portion of their operational costs for the season. In return members receive a box of fresh produce at regular intervals (usually every week) during the farming season. The US wine producers who have adopted the model provide annual and biannual deliveries of wine, rather than weekly or monthly, because wine is a bit different to fruit and vegetables. We tend to agree. The benefits of CSA farms are numerous, and include health and cost advantages to consumers, greater knowledge of food production issues support for farmers and an improved sense of shared community. 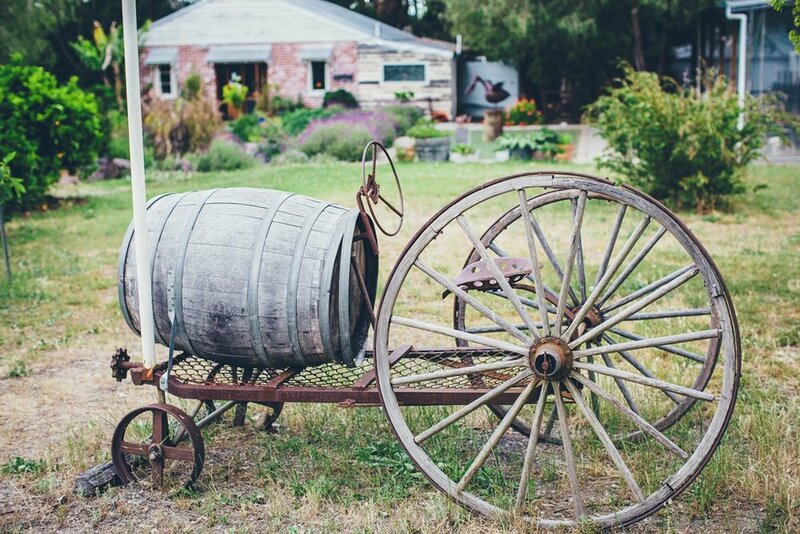 Sustaining small, family-owned vineyards and wineries is a goal worth pursuing - in our humble opinion...but then we are a little biased, aren't we? Ready to join now?